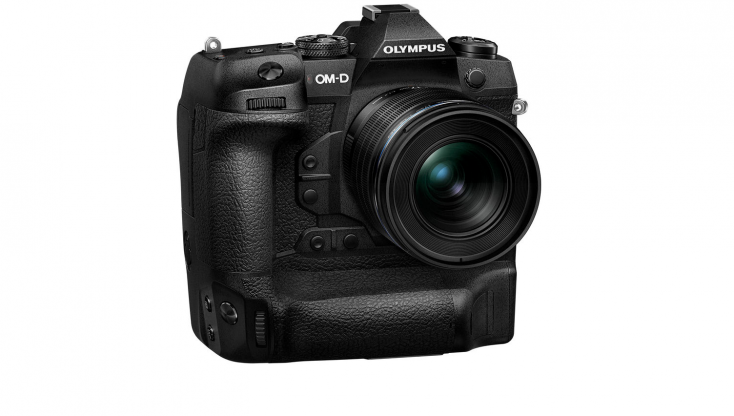 The Olympus OM-D E-M1X is the Japanese companies new flagship camera. 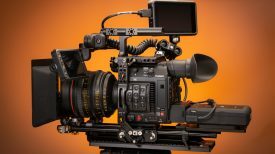 It features a 20.4 megapixel micro four thirds sensor with revolutionary image stabilization, and the ability to shoot in 4K in a Log profile. On the surface, it looks to be a relatively impressive camera, but it is expensive at $2,999.99 USD and it only records 4:2:0 8-bit internally. Olympus OMD E-M1 II review: Can you really ditch your tripod and gimbal? I think a lot of us thought Olympus had taken a long nap and forgotten to wake up. The OM-D E-M1 Mark II was debuted way back at Photokina 2016, and while it featured a lot of great video functions, such the ability to record 4K DCI at a bitrate of up to 237mbps, it has long been overtaken by the likes of the Panasonic GH5/GH5s, Sony a7, a7s, and a7R models, as well as the Nikon Z6. The E-M1X is the successor to the Olympus OM-D E-M1 Mark II and while it looks to be using the exact same 20.4 megapixel micro four thirds sensor, Olympus has made a lot of changes under the hood. The OM-D E-M1 Mark II was no slouch when it came to image stabilization. The camera featured three kinds of stabilization. There was lens-based image stabilisation with select Olympus lenses, there was in-body image stabilisation which works by moving the sensor itself, and lastly, there was digital stabilisation performed in-camera. While this system was critically acclaimed, it looks as though Olympus has significantly improved it on the E-M1X. According to Olympus, the camera features images stabilization of 7.5 stops, which allows the camera to capture 50 megapixel shots when shooting handheld. If you use a tripod, Olympus claims that you can take an 80 megapixel image. Now there is a caveat, it is only capable of doing this when an M.Zuiko IS PRO lens is used. 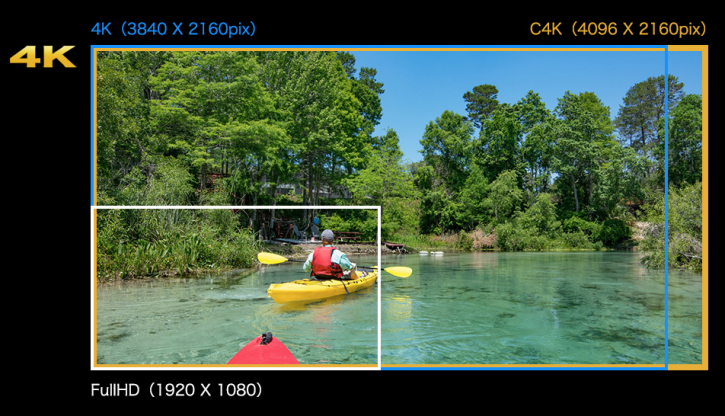 The Olympus E-M1X can shoot in 4K DCI (4096 x 2160) and UHD (3840 x 2160). When working in DCI, a true 24.00 fps frame rate is used, along with IPB compression and a 237 Mb/s bit-rate. UHD 4K is available in frame rates up to 30p and a 102 Mb/s bit-rate. Full HD 1080p and HD 720p recording are also supported. The camera can only record in frame rates above 30p when shooting HD. You can also only record for a maximum of 29 minutes. Unfortunately, the camera only records 4.2.0 8-bit internally which is very disappointing considering its price. Olympus doesn’t have a digital cinema camera to protect, so the lack of 10-bit recording either internally or externally is puzzling. Audio recording is possible using the built-in stereo microphone, and both an external mic jack and headphone jack are available. The camera uses an integrated OM-Log setting to extend the effective dynamic range and afford a greater range of control during post-production color grading when used with the accompanying LUT file. Use of an external recording monitor is also possible, via HDMI output, which supports 4:2:2 (8-bit). 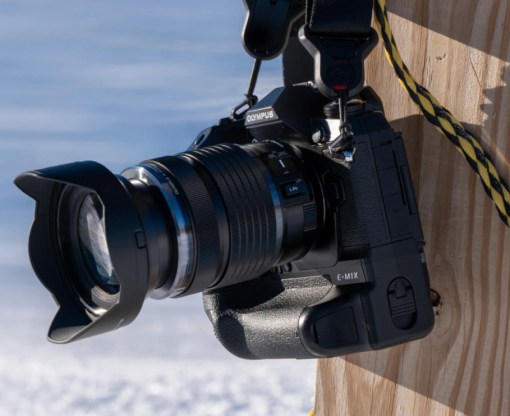 In addition to the powerful 5-axis in-body image stabilization, the E-M1X has dedicated video electronic stabilization for handheld 4K and Cinema 4K (C4K) shooting. The image stabilization strength has three levels. Field of view varies when using M-IS1. 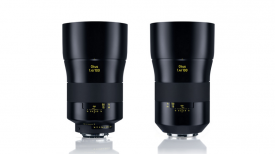 Using lens which is equipped with image stabilization can be given top priority. 1 While recording, footage is simultaneously displayed on the HDMI monitor and on the camera, but the info display is shown only on either one of the two. While playing movies, footage is simultaneously displayed on the HDMI monitor (normal size) and on the camera (normal size or enlarged). However, the image cannot be enlarged on the camera when a movie is being recorded. No, this isn’t some type of FS5 style electronic variable ND, and it doesn’t work when shooting video. 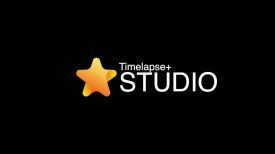 This new feature virtually extends the exposure time and allows the capture of images with slow shutter speed effect by merging multiple exposures together. Five levels of the LIVE ND effect can be selected from ND2 (1 step) and ND32 (5 steps) and the effect of the slow shutter speed can be seen LIVE in the viewfinder or LCD screen before capturing. This feature not only removes the trouble of changing filters according to the shooting scene or lens, but is also useful for lenses that are difficult to attach filters to. Olympus has incorporated a new AF system with intelligent subject tracking and a variety of AF target modes. With locked AF, the E-M1X can achieve high-speed sequential shooting at a maximum of 60 fps. With AF/AE tracking, a maximum of 18 fps is possible. 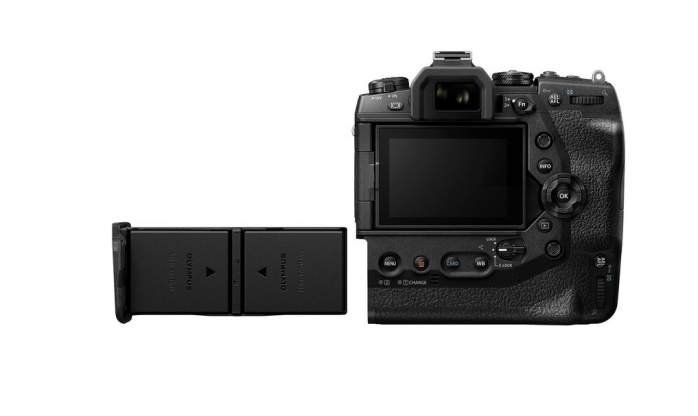 The E-M1X is not a small camera as far as Micro Four Thirds mirrorless cameras are concerned. With diameters of 144.4 x 146.8 x 75.4mm (WxHxD) and a weight of 997 g it a lot bigger and almost twice the weight of the OM-D E-M1 Mark II. I think a lot of shooters buy Micro Four Thirds sized cameras because of their small size and compact nature. 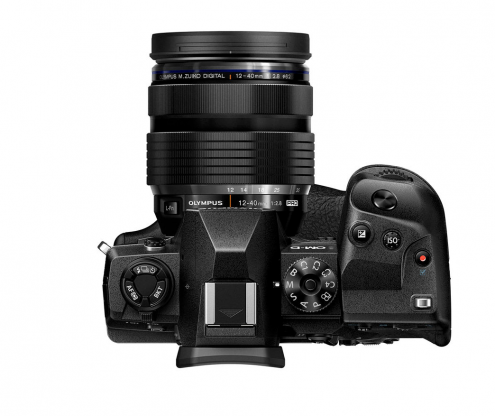 Just how potential buyers will respond to the increased size and weight of the E-M1X will be interesting to see. The E-M1X looks to be well suited to life in the field as it features a dustproof, splash proof, and freezeproof body. Olympus claims that these features are maintained even when a microphone, headphones, or remote control cable are connected. Olympus pioneered the Dust Reduction System and has a long track record of reliability. The Supersonic Wave Filter(SSWF) vibrates at a speed of more than 30,000 times per second to instantly remove dirt and dust. The E-M1X has a new coating on the sensor to reduce the possibility of dust in photos to a 10th of previous models, allowing for lenses to be swapped even in dusty environments. In a nice feature, Olympus has made a dual battery system that comes in the form of two batteries being used in a single cartridge. According to Olympus, this allows you to capture up to 2,580 images before having to recharge the batteries. This dual battery system also has the added benefit of keeping the camera body smaller as you don’t need an optional battery grip. The camera also has a USB Power Delivery (USB-PD) system that can take power from up to 100 W power sources. By using this, both batteries in the camera body can be fully charged in approximately two hours. What do you think about this new camera? Let us know in the comments section below.